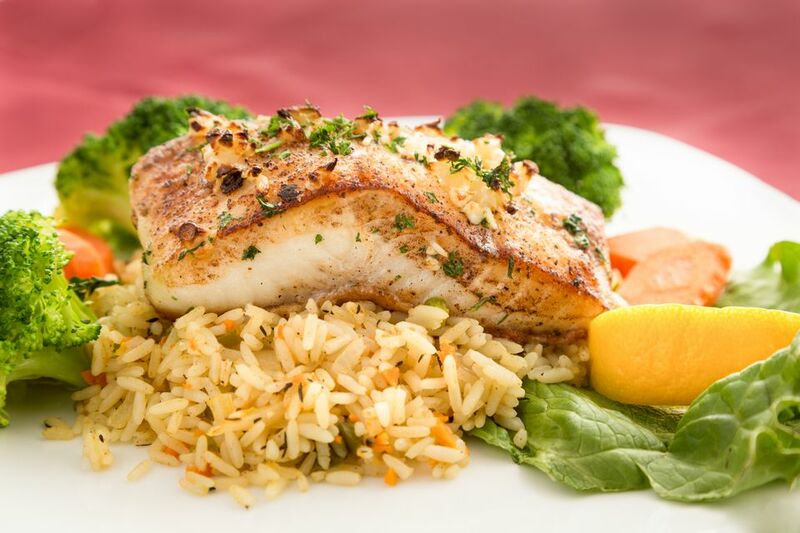 Halibut is a good fish for grilling or broiling since it's meaty and firm. It's relatively low in fat, so as long as you cook it quickly, with high heat, it'll be great, and that's exactly what we do with this broiled halibut recipe. This simple, Asian-inspired recipe combines soy sauce, sesame, and ginger and really highlights the meaty flavor of the halibut. While the fillets cook, pour the leftover marinade liquid into a saucepan and bring to a boil, then lower to a simmer and reduce while the fillets cook. Serve halibut topped with the reduced marinade and garnished with the remaining green onion.